It has suddenly occurred to me that I sniff things…a lot. I hadn’t noticed it, or even given it much thought until today, as I was walking down the stairs with Twin 1’s school jumper which I had found buried under football kit, swimming trunks and a sock on his clothes ‘resting’area. We were just about to head out the door on the school run – yes, I have sent him with a jumper today, down here in deepest South Devon we are not experiencing the tropical, lounging about weather that Philip and Holly have just been supping cocktails in and parading on my tv screen. No. We have low lying cloud, thick drizzle and steaming pavements due to a small degree of warmth. It makes me think of those scrums you see rugby players in when they steam away! Enjoy your heatwave London! Was that a Thunder Bug I just saw flit past my window? g) to double check if that nappy which you JUST changed has somehow refilled the moment you have hoisted mini offspring aloft to secure in the car seat. I recall vividly 10 years ago now, being in the Hospital SCBU unit with the Twins right after they were born. Twin 2 was in need of extra support whilst Twin 1 had a sticker on his incubator reading ‘Lodger’ to ensure no Dr’s gave him treatment he did not need. At night the kindly Midwives would scoop the Twins up and take them to the Nursery allowing me time to sleep – such a blessing! With the curtains pulled around my bay on the ward I would know, by the scent alone, which Twin had been brought back to me ready for a feed. Without being able to see him and with no indication from the Midwife, I simply could smell which of my beautiful babies needed me. They smelt completely different but oddly similar – a mixture of newborn sweetness, warmth and fuzziness. I still experience their smells now, when they are ill. They exude the same curious, soft and gentle aroma. They don’t have a clue what I’m on about but from this individual scent I can tell that, in a few days, they will have come down with some bug or other. Motherhood. Instinct. Evolution. Survival. Who knows what the scientific explanation may be for this, but I know in my heart that it’s a blessing, a gift and a magical power of us Mums. Some questionable clothing dropped betwixt the Twins bedroom and the laundry basket (most definitely not passable). The milk (good job I did that). My clothes (to see if they smelt of baby or just if I stank in general). My hair (to see if it smelt of breakfast smells). Bubs’ – (nope no need to get too close to that one, pretty blatant that one!) nappy. Well, you get my point! I sniff things, a lot and I bet you do too. Go on, I dare you! How many things have you sniffed today? I bet you surprise yourself! The 4.37am feed and the Dawn Chorus. Oooh, congratulations on the first post!! And what a brilliant first post it is!! Yes, this is something I’ve pondered often too-how many times I sniff stuff during the day! The clothes I pull from the washing basket because I haven’t gotten around to washing them (a quick smother in perfume and they’re usually ok, either that or I’ll have to be naked… Nobody wants to see that!) my own armpits, the odd brown thing I find on the floor, and yes, lots of bottoms!! I love that you could distinguish which of your twins you’d been given, by the smell-so amazing!! And my 2 also have a very distinguishable smell when they’re poorly… interesting!!!! 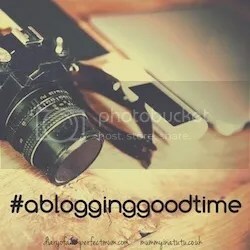 Welcome to blogging!!!!!! ‘the talk’! Yikes! Good luck with Operation Armpit! Spit or spot…it was all good for Mary Popping!! Ah the imminent meltdown!! Yes, senses defo detected those when they rumbled about like an ever closing-in thunder storm! Hi thanks for reading and your comment! Sometimes I feel like a sniffer dog! All hail the Mum Nose! !